This is a collection of archived photographs featured on the UIS homepage. Click on a photo for additional information. 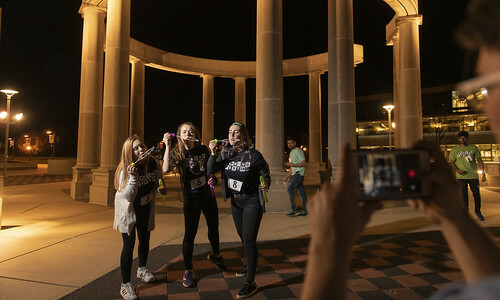 Blowing bubbles on the quad was one of the Springfest Scavenger Hunt activities this year. Springfest is a favorite tradition on the University of Illinois Springfield campus. Teams of students participate in activities and service projects all week hoping to win the coveted title of Springfest Champion. Check out Springfest photos from the week.